OUR STAINLESS STEEL WATER FILTRATION BOTTLES ARE BACK WITH A REVISED DESIGN! World's first stainless steel filtration bottles are back. Great anywhere, anytime you are thirsty for great-tasting, fresh water. Enjoy filtered tap water on the go instantly filtered as you drink! Portable water filtration bottles feature a unique Ionic Adsorption Micron Filter Technology that combines the different concepts of filtration including adsorption, absorption, chemical bonding and chelation. It reduces specifically all areas of contamination through the exclusive design and impregnation of proprietary media with outstanding filtration capabilities. 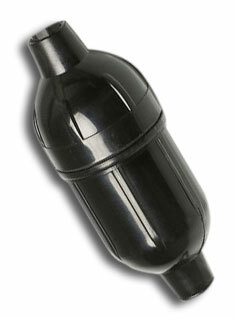 Exclusive filter removes up to 99.99% of pollutants for up to 100 gallons of great tasting filtered water. Each bottle is non-leaching, BPA and lead-free, reusable, lightweight, and taste-neutral. Each bottle saves the environment from 757 half-liters of plastic bottled water discards! Bottle comes with the same flip top mouth piece as our plastic bottles. Bottle is 25 fl. oz. ; comes with white cap or pink cap and leather strap. Removes up to 99.99% of contaminants in all four areas of contamination: aesthetic, microbiological, dissolved solids and metals, chemical (download chart below for contaminant removal percentages). Removes up to 99.99% of the contaminants and pollutants found in fresh water (not to be used with salt water). Filters leave in beneficial trace minerals such as calcium, magnesium and potassium. Patented filtering technology beats competing products in percentage of contaminants removed. Stainless steel micron water filtration bottle with the patented ionic adsorption technology that removes or reduces up to 99% of contaminants found in fresh water. Attractive 304 stainless steel bottle with pink cap. Stainless steel micron water filtration bottle with the patented ionic adsorption technology that removes or reduces up to 99% of contaminants found in fresh water. Attractive 304 stainless steel bottle with white cap. Better alternative to bottled water; helps the environment. Ideal for everyday use: camping, hiking, biking, backpacking, at school, the office, and especially for emergency preparedness. 20 oz. BPA-free plastic bottle available in blue or pink, environmentally safe, re-usable, BPA-FREE, will not leach, and is recyclable. Comes with the Advanced filter. The Advanced filter is the Standard filter with the addition of EPA approved iodinated resin (EPA Reg #: 35917-2), which has been proven effective in the removal of bacteria and virus to six logs (99.9999%). It can be used in extreme conditions; turbid and stagnant water; and is ideal for emergencies and natural disasters. Great anywhere, anytime you are thirsty for great-tasting, fresh water. Enjoy filtered tap water on the go instantly filtered as you drink from a bottle, a canteen, a pump or bag filtration system, a hydration backpack filtration system or pitcher! The patented exclusive Ionic-Adsorption Micro-Filtration coordinates all processes of contaminant reduction by adsorption, chemical bonding, chelation, and depth filtration. Our 27 oz. water filtration bottle gives you the maximum protection against pathogens, including bacteria, cysts, organic and inorganic chemicals, heavy metals, and other contaminants*..up to 500 uses of the bottle. Through medical technology, a uniform 2-micron absolute pore size filter was created for the assured reduction and removal of the above contaminants**. The high-tech porous plastic micro-filter is impregnated with both the finest granulated activated coconut Carbon available and the exclusive adsorbing media for superior analyte removal capability. • Our Standard Filter removes up to 99.99% of most contaminants and pollutants found in fresh water. 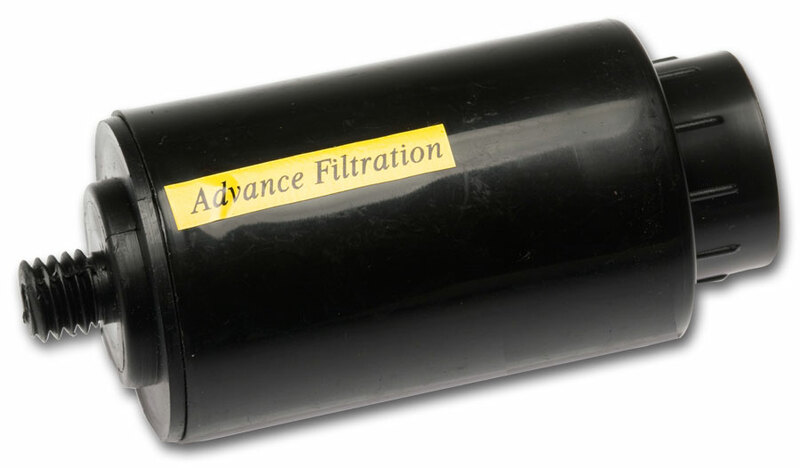 • Our Advanced Filter contains Iodinated Resin (EPA Reg. #35917-2), removing virus and bacteria up to six logs (99.9999%). • Patented filtering technology beats competing products in percentage of contaminants removed. • Filters leave in beneficial trace minerals such as calcium, magnesium and potassium. • All bottles are environmentally safe, re-usable, BPA-FREE, taste-neutral, non-leaching and can be recycled. • Provide up to 100 gallons of great-tasting filtered water for just pennies a gallon. Saves the environment from 757 half-liters of plastic bottled water discards! *See the chart below for a list of the contaminants and removal rates of our bottles and pitcher. **These filters have been tested by independent government laboratories to EPA/ANSI protocols and NSF Standards 42 and 53. PLEASE DOWNLOAD THE PDF FILE BELOW THAT SHOWS ALL OF THE CONTAMINANTS AND THEIR REDUCTION PERCENTAGES BY THIS FILTER!! 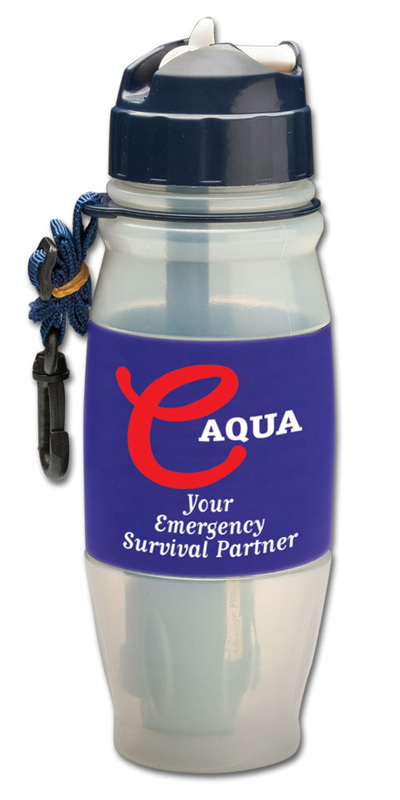 eAQUA is the first water filtration bottle that can be your survival partner in the time of an emergency or disaster. This water filtration bottle will eliminate the need to store bottles or water or bags of water in your, all of which have expiration dates and limited usage. Store a bottle in your kit or car and have immediate access to safe drinking water for up to 500 uses of the bottle! The micron filter will remove up to "Log 6 Virus" pathogens. The Advanced filter in the eAQUA water filtration bottle is made of the same media as the Standard filter with the addition of EPA-approved iodinated resin which has been proven effective in the removal of bacteria and virus to six logs (99.9999%). 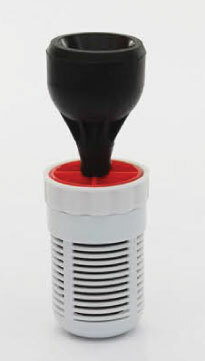 The radiological filter was designed to remove up to 100% of radiological contaminants along with the advanced filtration of the eAQUA bottle. • The only product on the market that provides up to 100% reduction of known radiological contaminants. • Designed to be used anywhere disaster strikes. Essential for emergencies, earthquakes, floods, fires and radiological catastrophes! • Protects your family with clean, safe drinking water in the event of a radiological emergency. ​The canteen contains 13 items that are indispensable for travel, and in the case of an emergency or disaster. The canteen carry pouch is a vivid fluorescent green to assist in drawing attention for rescue. Inline Elimnator Advanced System for use as a filter for your hydration backpack. Filter inside the housing which comes with fittings for the hydration pack hose. Advanced filter removes contaminants in all 4 areas including virus to six logs (99.9999%), bacteria and cysts. The inline hydration filter produces up to 100 gallons of great-tasting water. The system is designed to work with any non-plumbed available water source. Built to reduce up to 99.99% of cysts, bacteria, viruses, heavy metals, chemicals (including chlorine), radiologicals, and up to 90% fluoride from virtually any water source. 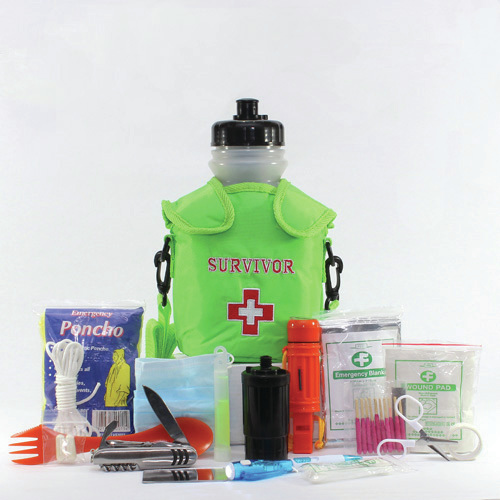 Indispensable for camping, traveling and emergency preparedness. The ﻿PureWater﻿ Filtration Pitchers are perfect companions for everyday use: at school, the office, outdoor activities, camping, backpacking, traveling, or for emergency preparedness. Better alternative to bottled water; helps the environment. 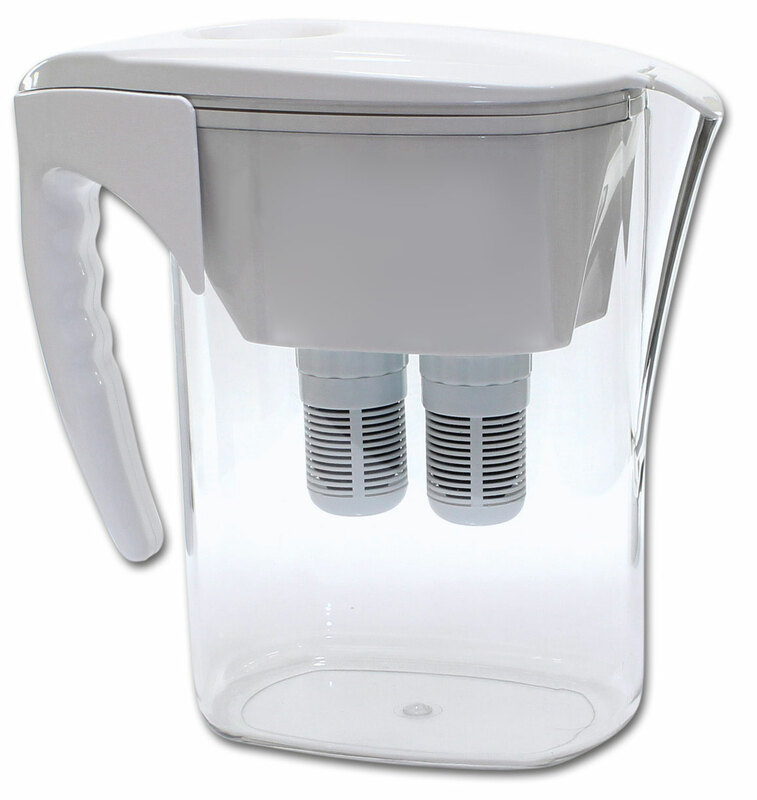 Our PureWater Filtration Pitcher is the most technologically improved product of its kind in the world. Our standard flow micron water filtration system contains two of the patented regular micron filters. Removes up to 99.99% of contaminants in three areas of contamination: aesthetic, dissolved solids and metals, chemical (download chart in portable water section for contaminant removal percentages). Removes up to 99.99% of the contaminants and pollutants found in fresh water (not to be used with salt water or microbiologically unsafe water). Makes up to 150 gallons of water before changing filters; approximate filter pack life - 6 months. 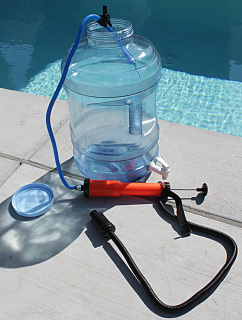 Flip top lid for easy filling; easy-to-use, no slip pistol grip; one-half gallon reservoir. Fits into any refrigerator. Plastic is non-leaching; BPA free! Replacement filter for the stainless steel bottle and inline hydration filters. 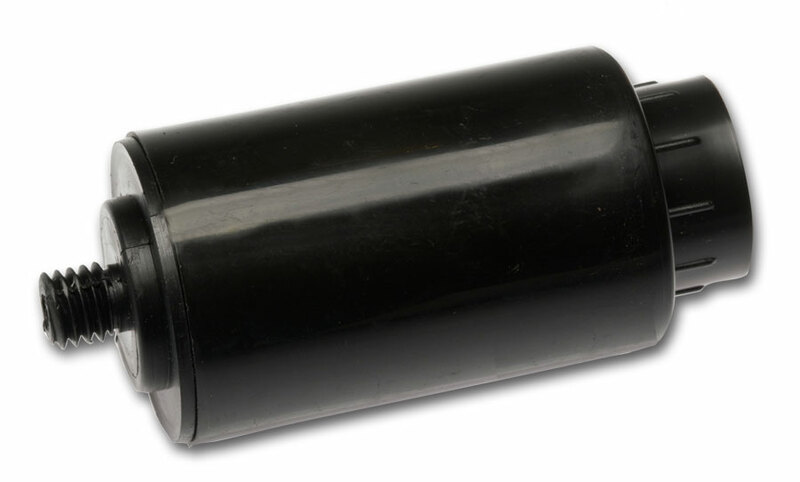 Replacement filter for the eAQUA bottle, canteen, pure water pump, and pure water bag. Replacement regular filter for the PureWater Water Filtration Pitcher (comes with two filters). PLEASE DOWNLOAD THIS COMPARISON CHART TO SEE THE CONTAMINANT REMOVAL RATES OF OUR PORTABLE WATER FILTRATION PRODUCTS FROM OVER 40 MAJOR CONTAMINANTS POSSIBLY PRESENT IN OUR WATER.